‘Domestic Goods Week; From Memories To the Future’ was celebrated by Reis Gıda. 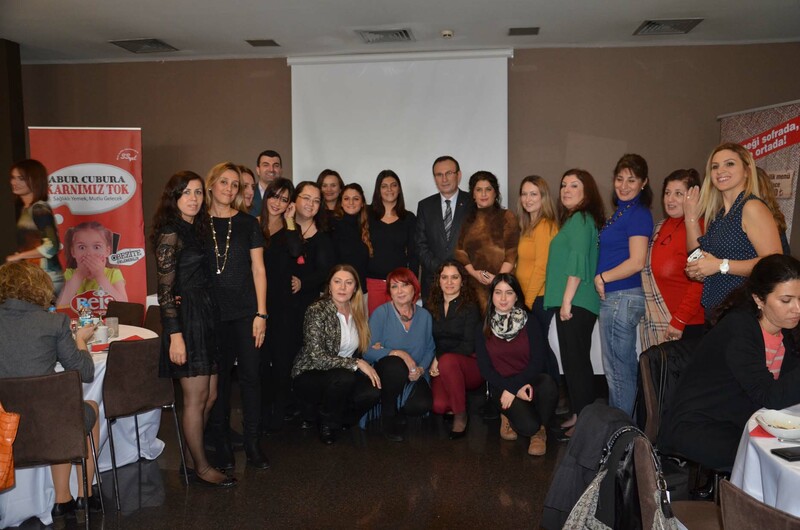 Saving, Investment and Turkish Goods Week is celebrated between the dates 12 and 18 December Reis Gıda organized an event at Point Hotel Taksim on 18th of December for celebration. During the evetn, especially the domestic goods part drew attention. Reis Gıda Chairman of Board Mehmet Reis executed a speech. The domestic seed should be taken care of and delivered to the next generations. “If we feed on the food prepared by the Domestic Seed, we will be healthier. Seed is the core of agriculture, the base of independence. As Atatürk once said ‘’Nations lacking producers become slaves of the producer nations.’’ Turkey is the gene center of many products, thus it can protect its richness and independence in agriculture by protecting domestic seed.Experts claim that the production made by genetically modified organism seeds, chemical drug, fertilisation makes the soil unproductive and threats the human health. However the people of science state that the food produced by the domestic seeds can prevent many diseases including cancer. We should increase the domestic seed application throughout the country. We should should collect our traditional local seeds and hide them in seed banks to deliver them to the next generations. It is the right of all of us to consume the products that will be produced on our fertile nation soils. We prepared a box consisting of ‘’seeds that can be hidden in the hope chest’’. Inside it, we put various kinds of seeds including the 12 thousand year siyez bulgur. For instance; as Reis Gıda, we collaborate with TUBITAK various universities including Kastamonu University so that we can take the Taskopru Garlic standard to the next generations without it changing. Our purpose is to make the Good Agriculture Applications spread by saying to our farmers how the production will be and the benefits of them. As you all know, one of the biggest threats of our century is ‘Drought’. We should prepare strong domestic seeds against drought. The production and consumption of domestic products will decrease the current deficit. ‘’The Vice Prime Minister Dear Ali Babacan stated in one of his speech he executed a couple of days ago, that the the industry, agriculture and high technological product should be supported and that subjects like R&D, domestic seed production should be discussed. The production and consumption of domestic products will decrease the current deficit.’’ he said.